Adam Kalkin is part artist, part architect. 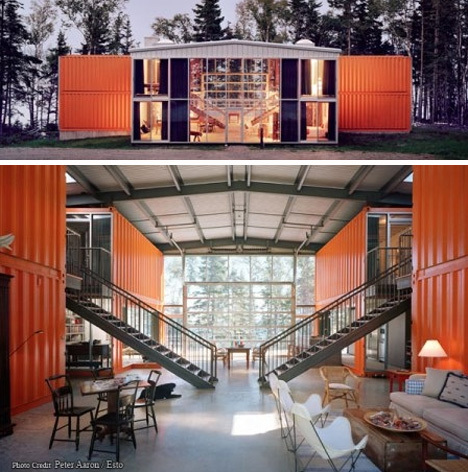 His 12 Container Home design shows off both parts flawlessly. Built from – surprise – 12 recycled shipping containers, the ultra-modern open-air home somehow manages to feel cozy. The unique T-shaped design leaves a completely open center living area with floor-to-ceiling windows.